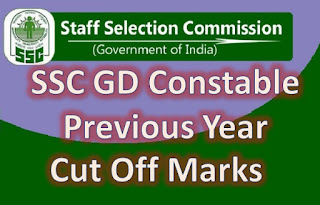 SSC GD Constable Exam notification of 54,953 vacancies has released on the official website of SSC. This exam has enthused lakhs of aspirants across the country to apply for the post. Last date to apply online for SSC GD Constable Exam is 17 September 2018. This exam is attracting the attention of government job aspirants and the number of applicants is expected to soar undoubtedly as more than 11 lakh aspirants registered themselves to take this prominent exam in 2015 which is the last conducting year of SSC GD Constable Exam or revised vacancies 64,066. 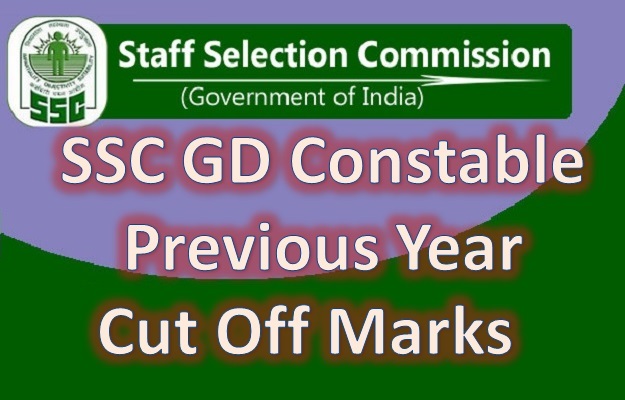 The motive of this post is to let you note down the last year cut off for SSC GD Constable Exam 2015. To have an acknowledgement of set cut off for the exam you are going to appear for is a must to do task to prepare more smartly and more efficiently for the exam. Below is the state wise cut-off for various categories along with the number of vacancies for both Male and Female Candidates. As to cut the mustard and to iron out all the impediments, a devoted aspirant seeks for all the information based on the trendy facts and we promise to bring out all that to you every time you call for. Check out these cut-offs and add up to your preparation as the competition is going to tougher every year. Also note down below SSC GD Constable Exam 2015 state-wise and overall vacancies for Male and Female Candidates distinctively.